Auto insurance is a contract that distributes risk among multiple drivers or policy holders, thereby reducing losses from an accident by a single driver or policy holder. Auto insurance can be purchased for cars, trucks and other motor vehicles, and its primary purpose is to provide protection against losses resulting from automobile accidents. In the United States of America, auto insurance laws and regulations differ from state to state. Depending on the state in which you reside, you may be able, or be required by law, to purchase several types of auto insurance coverage. Liability insurance typically offers protection for persons covered under your policy in case they become legally responsible for damages resulting from an auto accident. Bodily injury liability coverage deals with personal injury claims; property damage liability coverage deals with property damage claims. Personal Injury Protection typically offers coverage for injuries sustained in an auto accident by persons covered under your policy. Uninsured/Underinsured Motorist coverage typically pays persons covered under your policy and other passengers in the vehicle when they sustain injuries as the result of a hit-and-run accident or one where the at-fault driver is uninsured or underinsured. Collision coverage, often available as an option, typically covers damage to your car as a result of colliding with another object or vehicle. Comprehensive coverage, often available as an option as well, typically covers damage to your car when it is stolen or damaged in ways other than a collision. 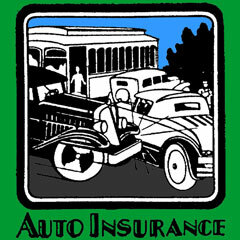 Here at AutoInsuranceCompanies.us, you can access the websites of selected firms that offer car insurance in the USA. Although a particular company may not offer automobile insurance in every state, most auto insurance companies do write insurance policies in many states. This well-known insurance company is a direct writer of auto insurance. State Farm provides auto, homeowners, life, and health insurance policies. Progressive is a provider of automobile insurance and related services. Allstate offers auto insurance coverage options and low car insurance rates. Amica offers auto, home, and life insurance policies. Liberty Mutual offers insurance for individuals, families, and businesses. Nationwide is a provider of auto insurance, as well as homeowners, renters, condo, business, and life insurance. Mercury is an independent agency that writes automobile insurance policies. NMC provides emergency roadside assistance and other travel-related services. AAA offers a wide range of automotive, travel, and financial services. This auto insurance supplier directory lists automobile insurance providers throughout the United States of America. Auto Warranties - extended warranties and service contracts.